As of yet, I don’t have a copy and have not read, but I am glad to see such a title. My own take on the whole issue has always been that–yes– China manufacturers do copy others products and ideas, but people have been doing that all over the world for years. As a ten year resident of China, I am happy to see there are some signs of growth in innovation and individualism among the locals here. Statistics from March surprisingly show a new trade surplus for China. Good news for China and the rest of the world too. The surprise return to surplus from February’s $31.5 billion deficit confounded expectations that trade would remain $1.3 billion in the red, with a solid 10.4 percent year-on-year bounce in sales to the United States helping exports grow faster than expected, customs data showed on Tuesday. Imports undershot expectations, growing 5.3 percent on the year in March – consistent with other data suggesting soggy domestic demand in the first quarter of the year – but the trade numbers overall reinforced the view of analysts that China’s trade-sensitive economy is set for a soft landing in 2012. Like many predicted, foreign demand for Chinese goods has not been hurt very much by the increased value of the Yuan. The new Chinese trade surplus is being attributed to better growth in the rest of the world, particularly the US. For skeptics who believe this is not good for the rest of the world, let me try–again– to explain. The savings that consumers enjoy from buying foreign goods allows them to either save more money or to buy more goods. The savings might turn into better investment opportunities, and more demand for goods might come from either home or abroad. 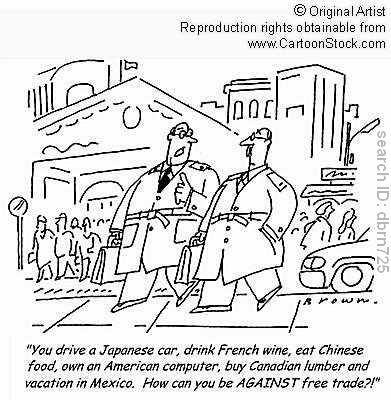 This is an essential lesson in free-trade economics. A new story focuses on Argentina’s restrictions on trade, forcing importers to export goods of equal value. 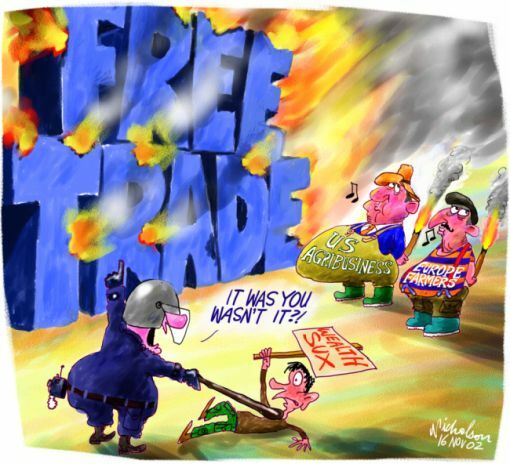 Complaints have been made to the World Trade Organization from the US, the E.U., Japan and 10 other countries. Argentina’s motivation is to preserve domestic jobs, ignoring the true advantages of real free trade, which accrue to consumers through lower prices and greater demand for both domestic and foreign-made goods. The irony in all this is that the countries making the complaints are guilty of similar tactics. The most familiar is the US demands that China increase the value of its currency, afraid that it will cost the US more jobs. After 200 years, people–including politicians–should better understand David Ricardo’s explanation of comparative advantage, where free trade encourages countries to specialize in the production of goods and services that they produce relatively best. 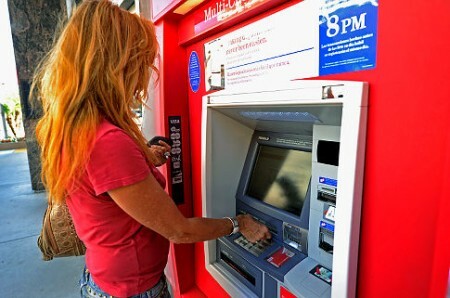 Banks in the US are back to raising user fees for simple banking operations. 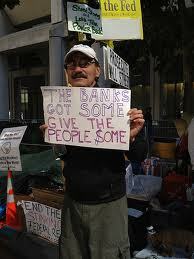 Granted, as the banks claim, they are private businesses and entitled to try to make a profit. The problem is that the macroeconomy depends on liquidity of the banking sector to turn personal savings into investment spending. Recently I made a visit back to the US. Without any dollars, I visited an ATM machine. I had to pay a fee of $5 for a modest $100 withdrawal. That was the last time I used an ATM there. People discouraged from saving in the financial system means there will be less spending, demand in the marketplace, fewer jobs, and less ability for the government to improve growth with fiscal or monetary policy. Not exactly about economics, but this review was interesting to me because I remember reading Shackleton’s Valiant Voyage when I was a boy. This is more about management, and how some historical examples can give today’s managers examples to adapt to in difficult times. But another polar explorer — Ernest Shackleton — faced harsh conditions in a way that speaks more directly to our time. The Shackleton expedition, from 1914 to 1916, is a compelling story of leadership when disaster strikes again and again. Consider just a handful of recent events: the financial crisis of 2008; the gulf oil spill of 2010; and the Japanese nuclear disaster, the debt-ceiling debacle and euro crisis this year. Constant turbulence seems to be the new normal, and effective leadership is crucial in containing it. Shackleton exemplified this kind of leadership for almost two years on the ice. What can we learn from his actions? As some talented research assistants and I worked on the study, I was struck by Shackleton’s ability to respond to constantly changing circumstances. When his expedition encountered serious trouble, he had to reinvent the team’s goals. He had begun the voyage with a mission of exploration, but it quickly became a mission of survival. This capacity is vital in our own time, when leaders must often change course midstream — jettisoning earlier standards of success and redefining their purposes and plans. I am not sure Shackleton’s problems are really so realistic for modern managers, but the point of the article turns out to be about dealing with change and new problems, relevant for anyone. 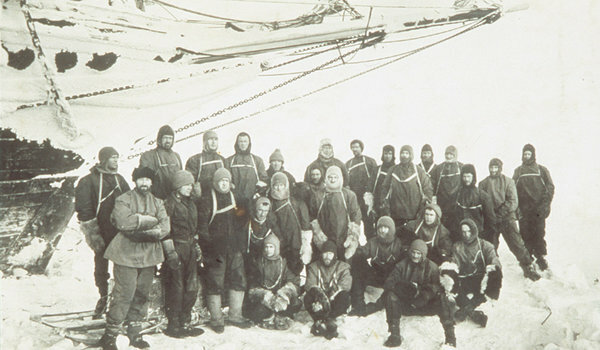 Through the routines, order and interaction, Shackleton managed the collective fear that threatened to take hold when the trip didn’t go as planned. He knew that in this environment, without traditional benchmarks and supports, his greatest enemies were high levels of anxiety and disengagement, as well as a slow-burning pessimism. Days became weeks, and weeks became months, and still the ice held the ship. By June 1915 — the thick of winter in the Southern Hemisphere — the ship’s timbers were weakening under the pressure created by the ice, and in October water started pouring into the Endurance. Which he did manage to do. 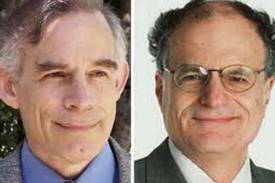 Christopher Sims and Thomas Sargent are the newest winners of the Nobel Prize in Economics. I have heard and read about both of these guys for years, but I did not really know about their contributions until reading this article. Apparently, they had much to do with the concept of rational expectations, and the role that expectations play in the influence of monetary policy. They won their Nobel for “their empirical research on cause and effect in the macroeconomy,” in the academy’s words. What that means, in part, is that they have done some serious math. Today, ideas they largely formed in the 1970s and ’80s help shape the thinking inside the Fed and on Wall Street. Their work goes beyond old labels like Keynesianism and the monetarism of Milton Friedman. They have shown that fiscal and monetary policy are inextricably linked, and their research reflects the broad shift in economics from words to numbers — toward a level of empirical analysis that few outside the profession can readily grasp. But it contains a kernel of skepticism appropriate for these troubled times. In a world of uncertainty and constraint, cause and effect may not be what they seem. As a result, we must test and retest our assumptions — and try to prepare for the unexpected. This last paragraph is interesting to me. They agree that there is room for new ideas and models that might better predict the results of economic policy, something our new nobel laureates admit is still not done very well. His own assumptions need to be continually re-examined “to capture a fundamentally uncertain, constrained, complicated world,” he says. Maybe the next Nobel goes to a newer model that solves some of those problems. Any volunteers? US banks should undermine Occupy protesters–an article today that, to my mind, represents a disturbing attitude towards (mostly) legal and peaceful protests. Not able–or maybe not willing–to let legal restrictions limit the actions of OWS, already being done, the Financial Sector is now willing to try to undermine OWS with some type of media coertion. 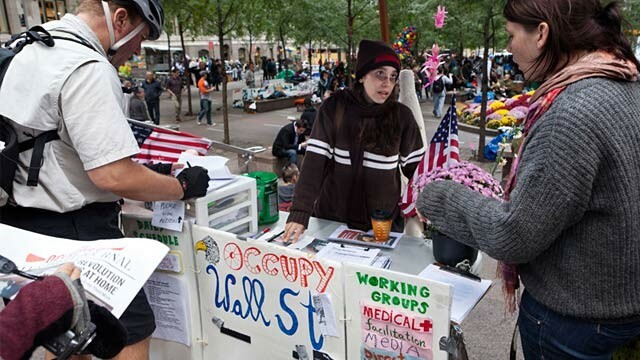 The Occupy Wall Street movement is a big enough problem for U.S. banks that they should pay for opposition research into the political motives of protesters, said a firm that lobbies for the industry. Clark Lytle Geduldig & Cranford, a Washington-based firm, proposed the idea in a memo to the American Banking Association, an industry group which said on Saturday that it did not act on the idea. The four-page memo outlined how the firm could analyze the source of protesters’ money, as well as their rhetoric and the backgrounds of protest leaders. Apparantly the banks cannot trust the situation to be handled by legal authority. The financial sector wants to take their efforts away from just making money? No. I guess that is still their final goal. Police have evicted protestors with the Occupy Wall Street protests. Along with similar evictions in Portland and Oakland, one big question is if the movement can maintain its momentum. The encampment is gone, but the movement lives on. What nobody knows is just how long it can survive without a literal place to call home….after protesters were hauled out of the park during a police raid early Tuesday, some organizers believe the loss of their camp is actually a blessing in disguise. One of the most important ideals of the US is freedom of speech, and it creates a bit of a dilemma for authorities who want to maintain a clean and comfortable place for their constiuents. Mayor Michael Bloomberg said he ordered the sweep because health and safety conditions had become “intolerable” in the crowded plaza. The raid was conducted in the middle of the night “to reduce the risk of confrontation” and “to minimize disruption to the surrounding neighborhood,” he said. By early Tuesday evening, some protesters were being allowed back into the park two by two. But they could each take only a small bag after a judge ruled Tuesday afternoon that their free speech rights do not extend to pitching a tent and setting up camp for months at a time. As an American living overseas, I have been happy to see the protests and how many people are drawn to join. The US economy is driven by profits for already rich owners of large corporations–financial, oil, military, and a few others. I am glad that many people seem to understand what is going on. Today I read this unusual, honest story about how a financial advisor lost his home in the US. The story gives us a good insight into how questionable banking practices actually affect individual families. Though obviously a bit embarrassed by his poor planning, the author’s account of the whole story gives me a better idea of how the whole recession began and how it impacted all kinds of people, even those well versed in financial planning can fall into trouble. I’m a financial adviser. I get paid to help people make smart financial choices, and I speak and write about personal finance issues for this publication and others. So this is the story of how I lost my home, the profound ethical questions that arose along the way, and what my wife and I learned from the mistakes that led us to that point. While the author naturally points to the importance of making wise decisions regarding debt and expectations, another lesson is that oversight of the financial sector is important both for banks and their customers.